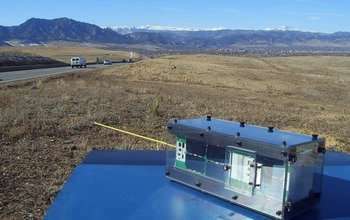 A 60-year-old mystery regarding the source of some energetic and potentially damaging particles in Earth's radiation belts is now solved using data from a shoebox-sized satellite built and operated by University of Colorado Boulder students. The results from the new study indicate energetic electrons in Earth's inner radiation belt - primarily near its inner edge - are created by cosmic rays born from explosions of supernovas, said the study's lead author, Professor Xinlin Li of CU Boulder's Laboratory for Atmospheric and Space Physics (LASP). Earth's radiation belts, known as the Van Allen belts, are layers of energetic particles held in place by Earth's magnetic field. The team showed that during a process called "cosmic ray albedo neutron decay" (CRAND), cosmic rays entering Earth's atmosphere collide with neutral atoms, creating a "splash" which produces charged particles, including electrons, that become trapped by Earth's magnetic fields. The findings have implications for understanding and better forecasting the arrival of energetic electrons in near-Earth space, which can damage satellites and threaten the health of space-walking astronauts, said Li. "We are reporting the first direct detection of these energetic electrons near the inner edge of Earth's radiation belt," said Li, also a professor in CU-Boulder's aerospace engineering sciences department. "We have finally solved a six-decade-long mystery." A paper on the subject was published in the Dec. 13 issue of Nature. The study was funded primarily by the National Science Foundation. Soon after the discovery of the Van Allen radiation belts in 1958, both American and Russian scientists concluded that CRAND was likely the source of high-energy protons trapped in Earth's magnetic field. But over the intervening decades, no one successfully detected the corresponding electrons that should be produced during the neutron decay. 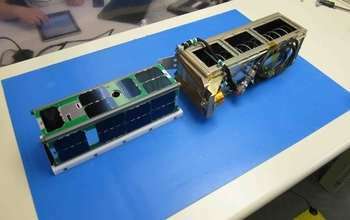 The CubeSat mission, called the Colorado Student Space Weather Experiment (CSSWE), houses a small, energetic particle telescope to measure the flux of solar energetic protons and Earth's radiation belt electrons. 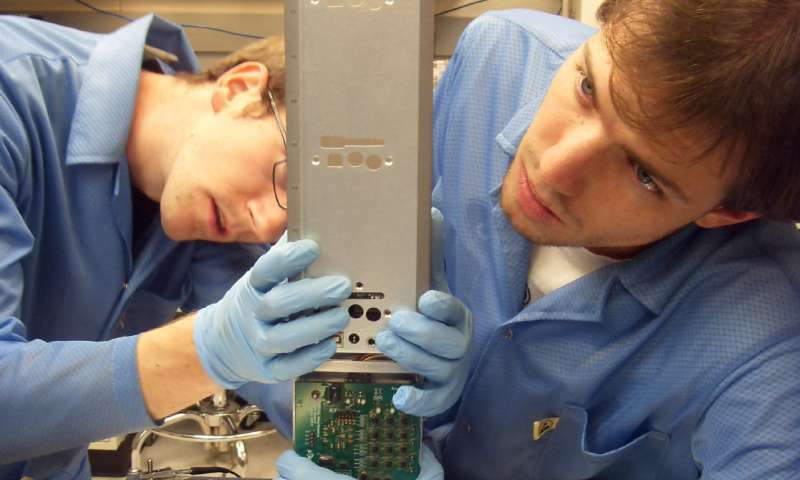 Launched in 2012, CSSWE has involved more than 65 CU Boulder students and was operated for more than two years from a ground station they built on the roof of a LASP building on campus. 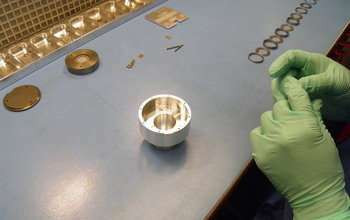 The instrument on CSSWE, called the Relativistic, Electron and Proton Telescope integrated little experiment (REPTile) is a smaller version of REPT, twin instruments developed by a CU Boulder team led by LASP director and Nature paper co-author Daniel Baker that were launched on NASA's 2012 Van Allen Probes mission. "This is really a beautiful result and a big insight derived from a remarkably inexpensive student satellite, illustrating that good things can come in small packages," said Baker. "It's a major discovery that has been there all along, a demonstration that Yogi Berra was correct when he remarked 'You can observe a lot just by looking.'" "These results reveal, for the first time, how energetic charged particles in the near-Earth space environment are created," said Irfan Azeem, a program director in the NSF's Division of Atmospheric and Geospace Sciences. "The findings will significantly improve our understanding of the Earth-space environment," Azeem said. "It's exciting to see NSF-funded CubeSats built by undergraduate and graduate students at the center of a significant scientific discovery."